Comment: Shipped within 24 hours from our UK warehouse. Clean, undamaged book with no damage to pages and minimal wear to the cover. Spine still tight, in very good condition. Remember if you are not happy, you are covered by our 100% money back guarantee. 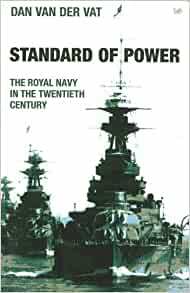 Standard of Power, written by an accomplished naval historian, is an excellent general history of the Royal Navy in the Twentieth Century. This single volume covers the Royal Navy from the launching of HMS Dreadnought at the turn of the century to the Kosovo War of 1999. While the author's primary effort is to cover the operational aspects of the Royal Navy's participation in the major conflicts of the century, he also addresses related issues such as personnel, technology and naval budgets. The book is divided into three major sections, covering: the First World War era, the Second World War Era and the Warsaw Pact era and aftermath. At the turn of the 20th Century, the Royal Navy was the supreme naval power on earth and successfully applied the "Two Power Standard" to maintain quantitative superiority over any combination of rivals. The Kaiser's attempt in 1900-1914 to build a rival to the Royal Navy is exposed by the author as a double folly, foremost because Germany lacked the resources to match England ship for ship. Instead, the German "Risk Theory" was premised on achieving a favorable attrition ratio over isolated British squadrons until the High Seas Fleet could attempt a winner-take-all fleet battle. Yet when war broke out in 1914, the British adoption of a "distant blockade" voided the German strategy and thus, the final rationale of the High Seas Fleet. 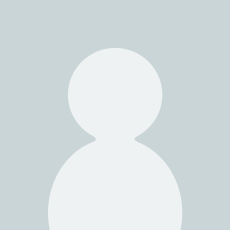 The section on the First World War consists of three chapters that cover the main operating units in the naval war: cruisers, battleships and submarines. While the Royal Navy was well prepared to counter Germany's brief cruiser raids and to checkmate the High Seas Fleet, it was poorly-prepared both in doctrinal and technological terms to deal with unrestricted submarine warfare. Royal Navy officers regarded commerce protection as unworthy of their attention and resisted convoys until shipping losses had reached catastrophic proportions. In sum, the Royal Navy's obsession with big fleet tactics inhibited its ability to deal with the main threat, which was the U-Boats. According to the author, the greatest defeat suffered by the Royal Navy in the Twentieth Century occurred in April 1918 when naval aviation was detached from the fleet and merged with the newly formed Royal Air Force. Although the fleet was given a new air arm in 1938, the damage was done and the result was that the Royal Navy neglected air power and air defense in the 1930s. When war broke out in 1939, the Royal Navy appeared to still be the strongest fleet on earth, but it lacked effective carrier-based aviation and even its warships were outdated compared to its enemies. Lessons about anti-submarine warfare learned at great cost in the First World War were initially disregarded and the U-Boats were again allowed to wreak havoc on commerce due to the Royal Navy's failure to build sufficient escorts. Air defense in the fleet was also weak and the Mediterranean Fleet suffered terribly at the hands of Axis airpower. On the positive side, the Royal Navy had effective naval leaders in Ramsey, Cunningham and Somerville. The fleet also displayed a talent for improvised evacuations, at Dunkirk, Greece and Crete. Yet the Royal Navy's finest hour, according to the author, occurred in April-May 1943 during the Battle of Convoy ONS-5, which marked the beginning of the defeat of the U-Boats. After that point, the Royal Navy was increasingly in the shadow of the rapidly expanding US Navy. In sum, the author asserts that the Royal Navy achieved a victory in the Atlantic, a draw in the Mediterranean and was defeated in the Far East. After 1945, the Royal Navy rapidly dwindled in numbers due to rapid demobilization and financial pressures. By 1950, the Royal Navy was a shadow of its former glory and was hard-pressed to meet its NATO obligations and deal with colonial unrest. Yet this was more a period of adaptation to new roles, rather than decline. While shrinking in size, the RN also demonstrated technological ingenuity in introducing angled flight decks, steam catapults and silent propulsion. It was the Falklands War in 1982 that "saved" the Royal Navy from virtual extinction and offered a new role: force projection. Rather than existing merely as a localized anti-submarine force within NATO, the author asserts that by the end of the century the Royal Navy had evolved into a dual-role force: a power projection fleet and a strategic deterrent in its Trident submarines. The standard of power has evolved over the century from measuring the fleet quantitatively against potential rivals to instead sizing it to accomplish missions vital to Britain's national interests.